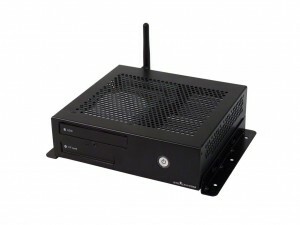 The LPC-395F Small PC is a rugged, small footprint, fanless computer with integrated removable storage. 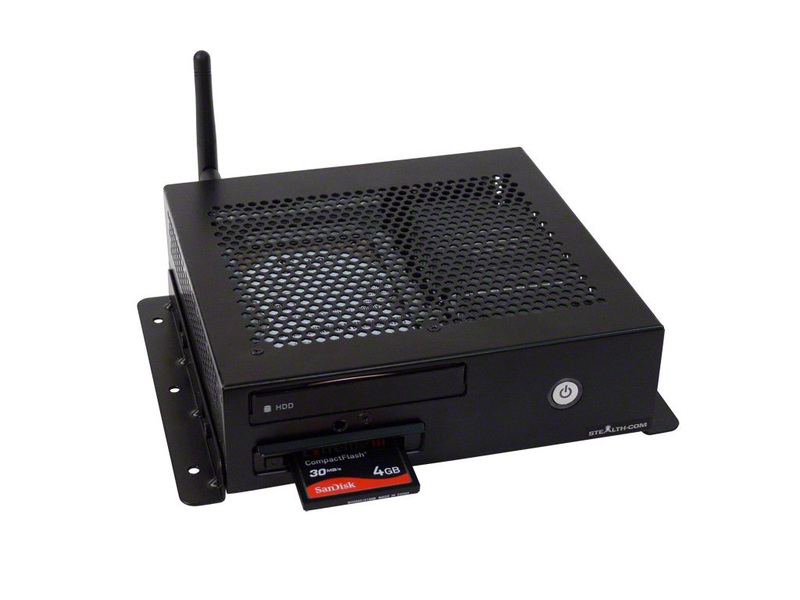 The LPC-395F fanless small PC includes front loaded removable media slots for both hard drive and compact flash media. 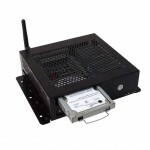 An industry standard mobile 2.5″ SATA hard drive slides directly into the machine without having to open the chassis. 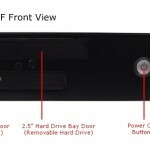 The system also supports a front loaded CF memory card for easy system updates and file deployment. The LPC-395F small form PC offers a tremendous price-performance value in a robust little package. 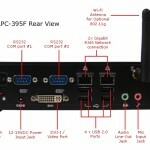 The LPC-395F small PC punches through with Intel’s energy efficient N270 processor technology. 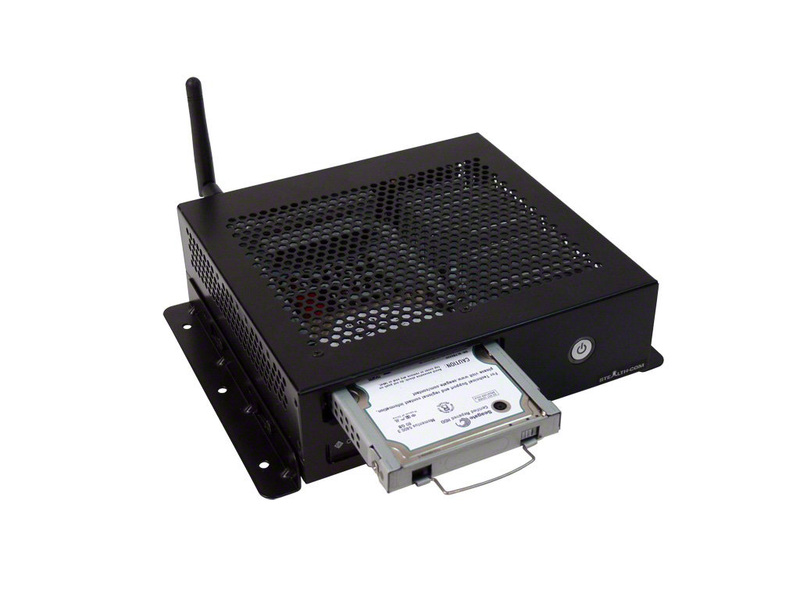 The rugged light-weight metal chassis measures only 6.54″(W) x 6.18″(D) x 1.89″(H) in size. 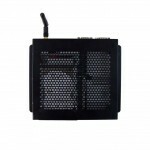 Its sturdy small size and noise-free fanless design make it ideal for applications where space is critical. 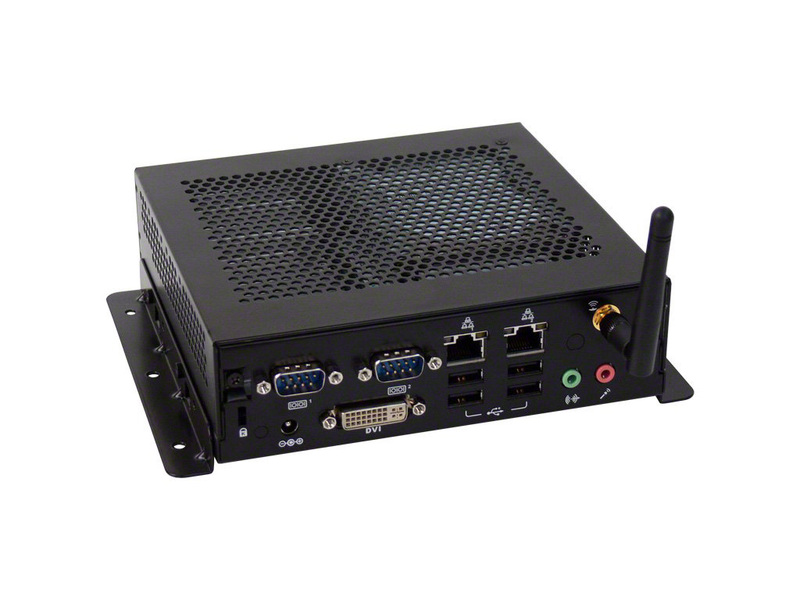 The LPC-395F Fanless PC features a multitude of I/O connectivity built into its impressively diminutive design such as; Dual Gigabit LAN, 4-USB 2.0, 2-Serial RS232, 1-DVI, Audio ports with optional Wi-Fi 802.11g. 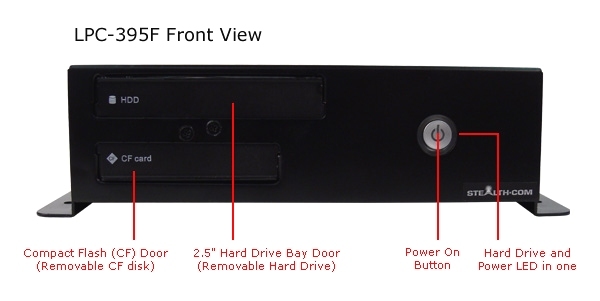 The LPC-395F supports up to 2GB in memory and has a removable hard drive with up to 500GB’s of storage space for archived data. 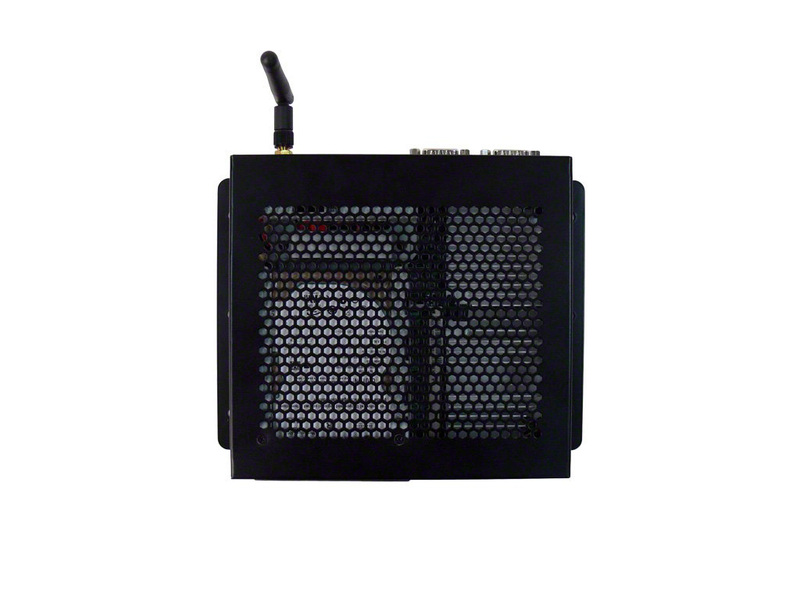 For applications that require extra high shock, vibration and wide temperature ranges an optional SSD (Solid State Hard Drive) is available. 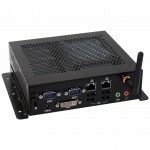 The Small PC can also operate from 12-19VDC making it an ideal choice for field and mobile applications. Systems are compatible with Microsoft Win7/XP, Linux etc and can be custom configured to meet the exact needs of the OEM or end user. 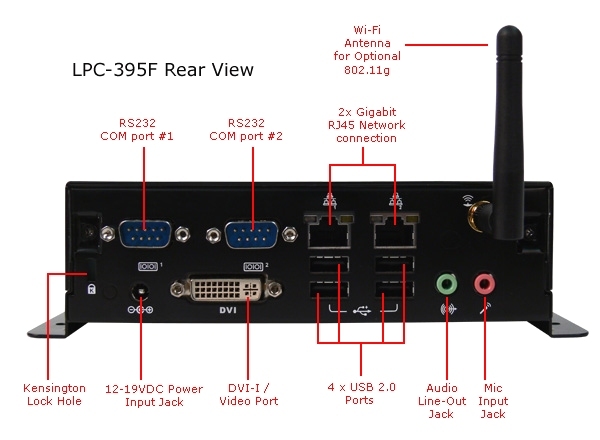 The LPC-395F is ideal for numerous applications such as digital sign, mobile/field deployment, process and discrete control, automation, human-machine-interface, data acquisition, shop floor and machine control to name a few. 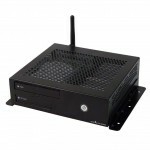 For more information including detailed specifications on the LPC-395F, click here. For pricing and to get an online customized quote for the LPC-395F, click here.